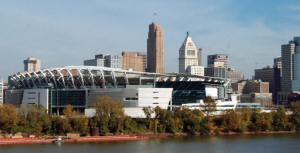 Paul Brown Stadium, home of the NFL’s Cincinnati Bengals, offers visitors and players a state of the art playing field, ample team facilities, luxurious private suites, multiple concession and restroom facilities, large screen digital video signage and stadium seating of more than 65,500. The stadium also features the latest in physical security refinements, including the KeyWatcher key control system from Morse Watchmans. Prior to implementing the automated key control system, the stadium controlled its keys manually using a log book and honor system. It was not unusual for staff to take keys home at the end of the day or for keys to be assigned to visiting contractors. In addition to the vulnerability created by the manual system, it also resulted in tedious and unproductive work for the security department staff. 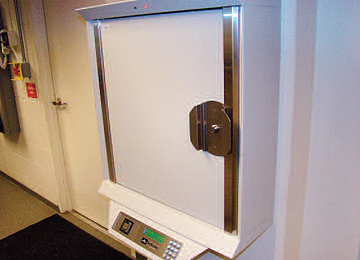 The stadium installed a single Morse Watchmans KeyWatcher cabinet with a capacity of 96 keys in the main security office. Keys stored in the cabinet are master keys as well as several levels of sub-masters used for specific areas or types of doors. Access to a key in the system is granted based on a biometric scan of an employee’s thumb, combined with a four-digit access code. Authorized users include staff from engineering, maintenance and grounds crew as well as a variety of outside contractors. The versatility of the system enables usage to be set up on a one-time basis or for repeated use. “I can determine what keys a contractor might need and set them up in advance, or we can do it on their arrival,” said Mr. Jones. Specialized KeyPro® III software from Morse Watchmans is used to manage the system and is connected to the stadium’s main server on the expectation that, in the future, access from another on-site location or from multiple workstations will be required. At the start of every day, Mr. Brown views transaction reports generated by the software that include information as to who has accessed the key cabinet, what keys were used and when they were returned. At any time he can view live key reports that show which keys are currently in and out of the cabinet. 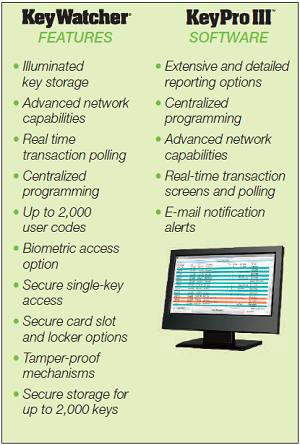 Learn more about key control solutions for hospitality.